Joomla & WordPress has been a major factor which propelled the rise of Bloggers. There are other Enterprise CMS that are there, but the cost-effective and the whole eco-system that was created by WordPress made it possible. There are so many people who now earn a stable income by being bloggers and can live a life that they want. Although WordPress & Joomla are free software there are necessary services (Domain, Hosting etc) that you will need to pay to get your blog up and running. Post that there the cost for Digital Marketing (SEO, Social Media, Google Ads, etc). If you aim is to start only a blog, then it will cost you 75$ per year with FREE Domain + FREE SSL on our Premium Business Hosting. This is the FIRST and the most important element to start your blog. Geek Crunch Hosting has a commitment for #EnablingGrowth which is to empower people, empower them to break free from 9to5 jobs and follow their passion. Which is why under this program, for everyone who buys Business Hosting or above from us, we provide FREE Domain. We would suggest that you do not compromise on the quality of your hosting service. You should try to get reliable (yet affordable) web-hosting. For a new blog, business hosting is best. When you are working with Geek Crunch Hosting, it is extremely easy to setup WordPress. You can setup WordPress with a single click or for that matter Joomla. That’s it. 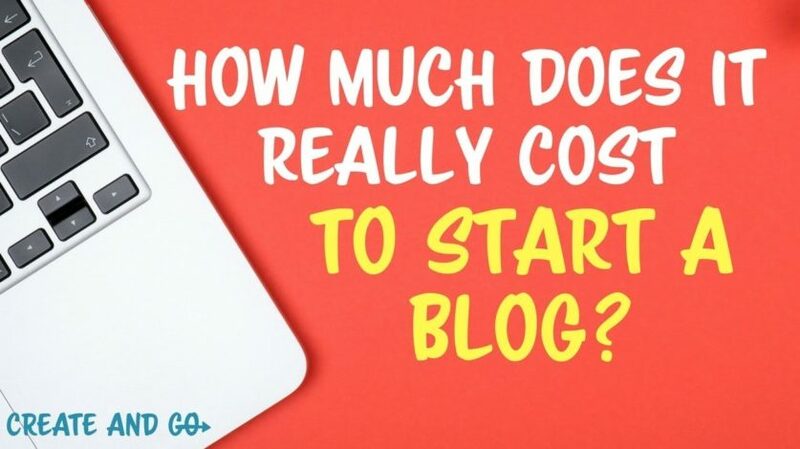 You can start your blog. You DO NOT need anything else. There are a lot of websites who will advice you to buy expensive themes or builders. If you are starting out we advice you to use the default WordPress theme. They are minimalist and are easy to configure. They have been developed by WordPress keeping bloggers in mind. Once you are comfortable with WordPress and your blog has got the traction, you can use other theme or builders. BTW: INCASE IF YOU ARE NOT SURE. JUST OPEN A TICKET WITH OUR SUPPORT AND YOUR WORDPRESS WILL BE INSTALLED FOR FREE!